So…I’m doing something so crazy that I have constant butterflies in my stomach. 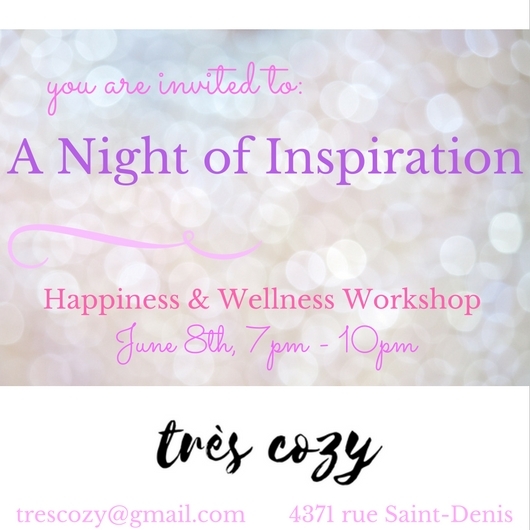 On June 8th (yes, next Thursday night from 7-10 PM) I am co-hosting a happiness & wellness event with my friend Kara, the owner of Très Studio Barre . We have been dreaming of doing this for years and we are finally ready! We couldn’t be more excited! We have created an on-line community combining Très Studio Barre and the cozy sweater café. Together we are… très cozy. With the cozy sweater café I have focused on bringing you inspiring and in-depth interviews with people that fascinate me. What started as an idea, has come to be, and is growing strong. Kara is a lifestyle coach and fitness instructor, an entrepreneur, and was one of the first people I interviewed. Her energy is infectious and her studio is my happy place to work out. Kara has expanded Très Studio Barre to include a café where you can grab a coffee, stretch, and consult with registered dietitian, a certifed osteopath, or a certified kinesiologist. Trés Studio Café is the perfect spot for our first event of (hopefully) many! With très cozy, we want to empower you to get back in touch with your creative and authentic self. 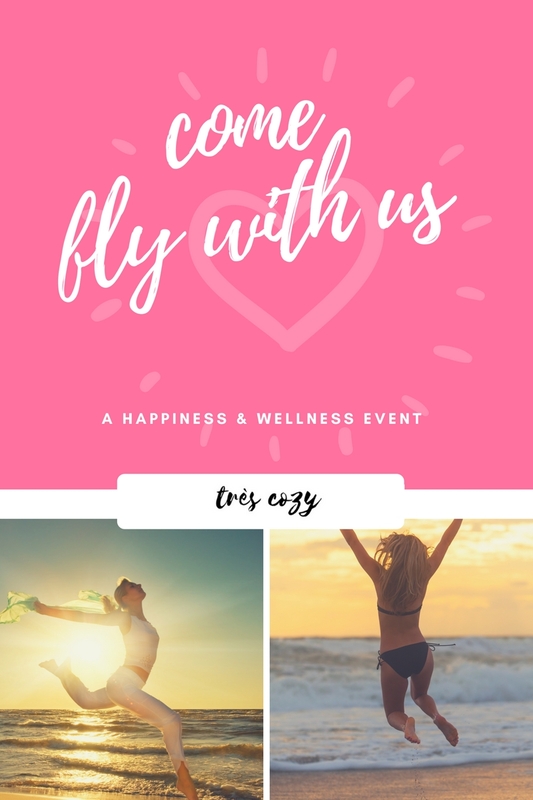 Through a series of wellness and happiness workshops, très cozy will boost your mental, spiritual, and physical health in a safe and fun environment. Our first event “A Night of Inspiration” is a happiness & wellness workshop that will empower you to change your perspective. We will ask you the questions that could change your life, and guide you to find the answers. We want you to jump, so you can fly! Get all the info here and purchase your tickets here. Tickets are 75$ for one and 125$ for two (plus tax). A kinesiology receipt is available for your insurance. I hope to see you and your friends there for an amazing night of inspiration, giveaways, and fun!